the demands were dropped in March 1920. 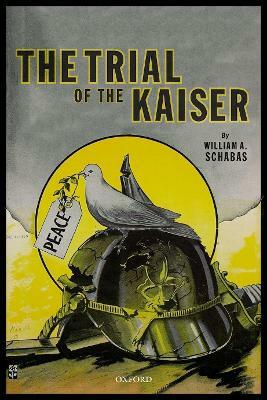 This book, from renowned legal scholar William A. Schabas, sheds light on perhaps the most important international trial that never was. Schabas draws on numerous primary sources hitherto unexamined in published work, including transcripts which vividly illuminate this period of international law making. As such, he has written a book which constitutes a history of the very beginnings of international criminal justice, a history which has never before been fully told. William A. Schabas is professor of international law at Middlesex University in London. He is also professor of international human law and human rights at Leiden University, distinguished visiting faculty at Sciences Po in Paris, and honorary chairman of the Irish Centre for Human Rights. Professor Schabas holds BA and MA degrees in history from the University of Toronto and LLB, LLM and LLD degrees from the University of Montreal, as well as several honorary doctorates. He is the author of more than twenty books in the fields of human rights and international criminal law. Professor Schabas drafted the 2010 and 2015 United Nations quinquennial reports on the death penalty. He was a member of the Sierra Leone Truth and Reconciliation Commission. Professor Schabas is an Officer of the Order of Canada and a member of the Royal Irish Academy since 2007.